Start your review of Leia Westlake. Thank You! 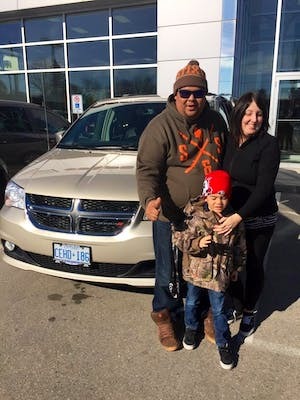 Your message has been sent to Leia Westlake at Eichenberg Chrysler. I drove 3 hours from out of town to deal with the Eichenburg team. I will definitely do it again for my next truck. We need more dealerships with this level of customer service. 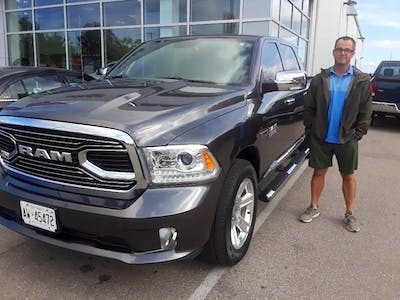 This was my first purchase at Eichenberg Chrysler and I found it to be a great experience. Jake is very professional and knowledgeable! I highly recommend! 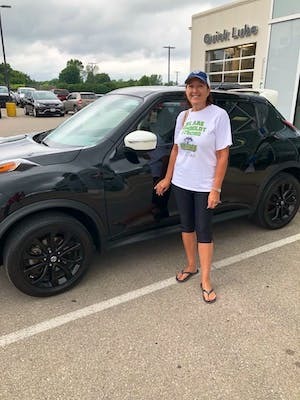 This is the second vehicle I have purchased from this dealership and we couldn’t be more overjoyed at the service we received. The salesman are very knowledgeable, friendly, and honest. There was no hidden anything when dealing with them, they answered every question we could throw at them and then some. I would recommend this dealership to anybody looking to upgrade or buy their first car. I will be dealing with them in the future for sure! Bill Locker was the individual I dealt with on both occasions! 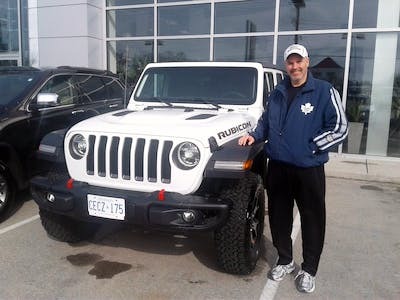 "Amazing experience buying my new car at Eichenbergs"
Today I picked up my new Jeep at Eichenbergs. I have purchased a total of 4 vehicles from Eichenbergs and have nothing but amazing experiences. The staff is friendly and incredibly accommodating. They have a great eye at finding exactly what you are looking for in a car. They also have great warranties that have always covered what I needed in the past. I will definitely be returning in the future!! 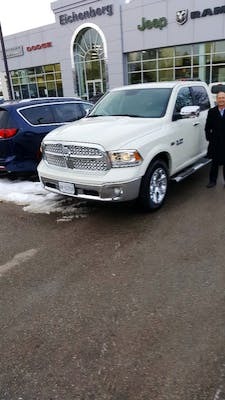 I’ve been looking quite extensively for a quality used vehicle and nothing we looked at suited our needs. After about 12 test drives from various local lots and dealerships I found the ad on Kijiji from Eichenberg Chrysler. Very detailed pics and a well detailed vehicle made me take the 2 hour drive to go check it out. The price quoted was very fair as per quality and condition of the vehicle. Ann Kamenar was very helpful from the initial visit to final pick up. Any issues I had she took care of promptly and effficiently. I’m glad I took the drive to Eichenberg Chrysler and will definitely let family and friends know. Thanks again for helping us with our purchase! I shopped around from GTA to St Thomas, I got the best deal at Eichenburgs in Tillsonburg. 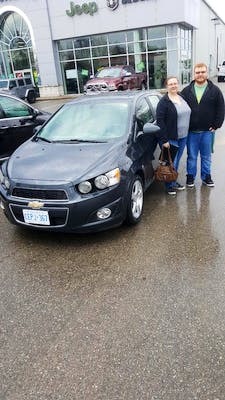 The staff were friendly and very knowledgeable, I would recomend Eichenburgs if you are looking to purchase a vehicle. 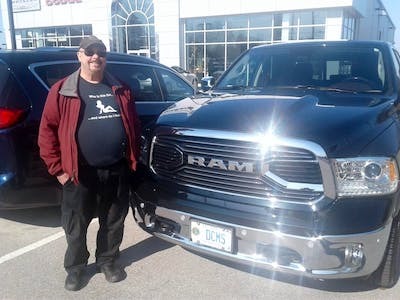 I had a great experience at Eichenberg Chrysler. First was my email conversations with Leia who set up my appointment with Charlie. I knew what I was after when I showed up and Charlie had the vehicle ready for me when I arrived. I was able to take it out for a test drive without any pressure. It took me two visits to decide but once I did Charlie made the entire transaction smooth. Greg then explained all the financials and warranty options. Everyone I had contact with was very friendly. Thank you for the service. Came from a considerable distance. The Eichenberg team made the whole experience transparent and simple. Take the short drive to Tillsonberg, you won't regret it! This is the second vehicle I've purchased from Eichenberg. Both times I've dealt with Gord Tilton The service has been exceptional. Always available for questions, very pleasant and accommodating, answers all my questions. Greg in finance department , also provided with exceptional service, answered questions clearly. Leia also provided me with exceptional service. Looked up vehicles for me, answered questions very quickly. Always a friendly smile and hand shake from this dealership. I will definitely go back and recommend them to anyone looking for a vehicle! !